We use mobiles to introduce vision levels and to add verticality. Mobiles give us the opportunity to study and discover a new dimension, we can see the forms in other positions and especially how they behave in movement. Mobile's parts move and interact with each other in a calculated and perfectly measured way, creating an individual and a collective movement that simulates a dance. 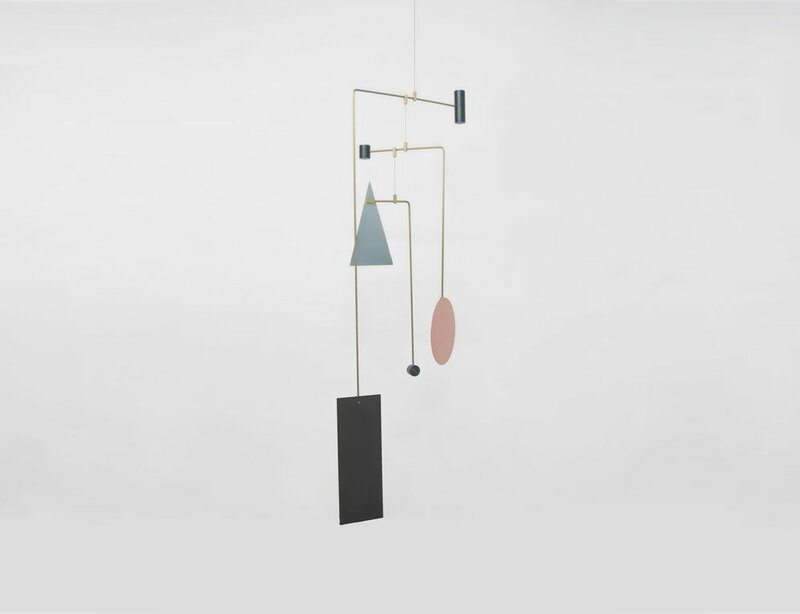 Some artists or brands use mobiles to reinterpret their products or to research new ways to treat materials. Ray and Charles Eames use mobiles to improve their plywood modeling techniques. Thanks to that investigations, now we have two simple mobiles made of plywood commercialize by Vitra, The Eames plywood mobile, model A and B. Four organic black forms that fits together in perfect balance moving in the same harmonious way. 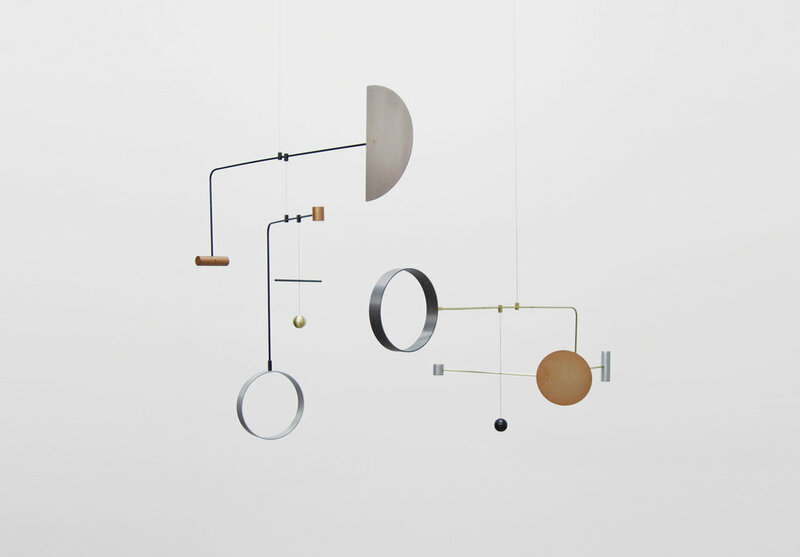 Influenced by warm minimalism and the playful austerity, Ladies & Gentlemen Studio compose structures in large scale. Designed to achieve the balance between the weight of the materials and the form of the parts to create movement blending the warm colors and solid materials. Constructed with brass, powder coated metal and color stained aluminium. The type of minimalism that transmit calm and equilibrium with a vintage touch. The last but not the least, Natalie Joy produces house plant mobiles. Plants understood as jewels hanging from the ceiling. A more realistic option with the aim of decorating and providing light to the room. Trying to make sculpture in a purely wearable format. Made by brass painted in shiny gold with a simple and stylish assembly.